Remedial Massage is a form of deep tissue massage which is focused on regaining functional muscle tone and soft tissue flexibility to assist recovery from or to help prevent injury. This form of massage works by increasing blood flow to the tissues, removal of stagnant toxic fluids, and encouraging lymphatic drainage. The effect of this is normalised soft tissue flexibility and thus improved joint mobility and removing restrictions. Soft tissue tension affects the normal position of the joints and associated nerve tissue. Therefore it is often involved in movement imbalances, postural dysfunctions and is almost always a contributing factor in musculoskeletal pain. This type of massage is ideal for sports people, chronic pain syndromes, injuries and those with severe muscle tension. 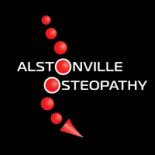 We are accredited members of the Australian Traditional Medicine Society (ATMS).